Collioure's waterfront is dotted with pastel buildings, fishing boats, and pebbly, uncrowded beaches. Postcard-perfect Collioure, sitting seaside on the far western Mediterranean coast of France, ought to be, by any measure, crammed with vacationers. Azure waters lapping at beaches right in town? Check. Pastel houses leaning over narrow lanes that lead to sun-dappled squares? Check. Medieval castle right nearby? Check. It's exactly what many travelers hope for in a Mediterranean resort, and yet the town is largely undiscovered (though still quite popular with French vacationers in July and August). Collioure is the perfect size for being on holiday. It has five beaches, each with its own distinct personality — from party/pebbly to sandy/serene. And its town center, with atmospheric restaurant-lined pedestrian lanes, is an utter delight. Check your sightseeing ambitions at the train station. 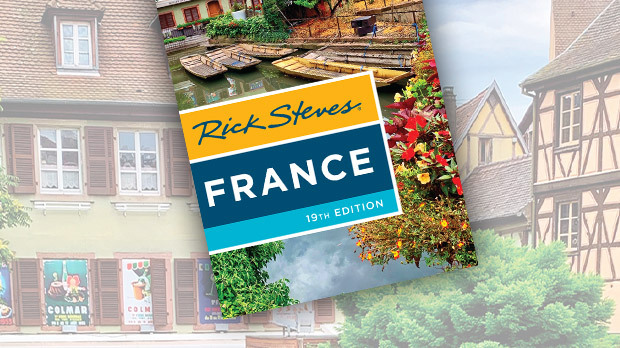 Enjoy a slow coffee on la Med, lose yourself in the old town's streets, comparison-shop the gelato shops on Rue Vauban, rent a kayak or paddleboat, snuggle into a pebble-sand beach (flip-flops or aqua-shoes are helpful here), or head out on a photo safari to enjoy the town's famous light, which has long drawn artists like moths. It's a result, at least in part, of the town's privileged position: nestled up against the chilly Pyrenees mountains but warmed by the seawater. 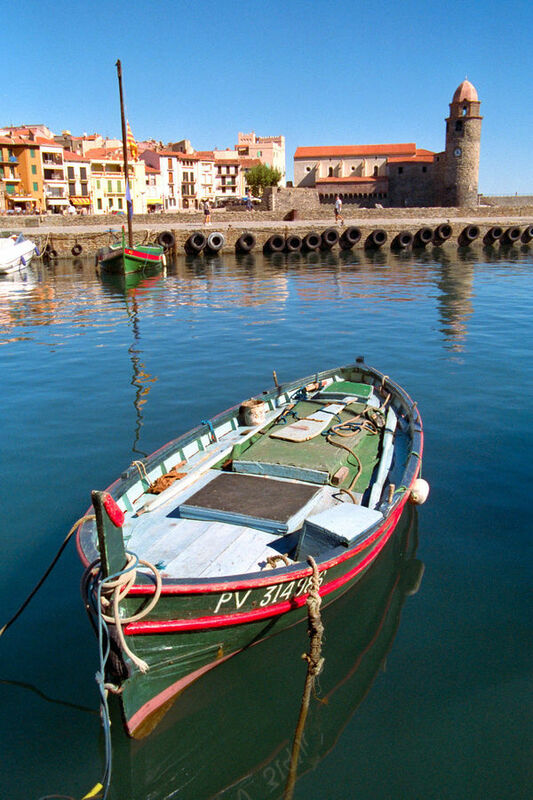 Just 15 miles from Spain, Collioure shares a common history, culture, and independent attitude with its Catalan cousins across the border. (From the border, it's just another couple of hours — past trippy Salvador Dalí sights and world-famous Costa Brava restaurants — to Barcelona.) Collioure is happily French, yet proudly sports yellow-and-red Catalan flags, street names in French and Catalan, and business names with el and las rather than le and les. Less than a century ago, most villagers spoke Catalan, and today the language is enjoying a resurgence as Collioure rediscovers its roots. Most of Collioure's shopping, sights, and hotels are in the old town, across the drainage channel from Château Royal, an 800-year-old château with great rampart walks, views, and mildly interesting exhibits on local history and contemporary art. Among the village's more interesting sites is Notre-Dame des Anges, a waterfront church with a one-of-a-kind lighthouse-bell tower and overly ornate altar. Explore past the church to collect city- and seaviews from the jetty wall at St. Vincent beach (best at sunset and after dinner). Also along the waterfront is the Path of Fauvism, where you'll find copies of Andre Derain's and Henri Matisse's works inspired by their stays in Collioure in 1905. Sample some of Collioure's well-respected wines at one of the many shops that offer relaxed tastings of the sweet Banyuls and Collioure reds and rosés. Consider a short Mediterranean cruise, or a daytrip to Spain via train or car — just watch those curves. If you're feeling energetic, tackle the one-hour, vertical hike up to Fort St. Elme, a castle high above Collioure. The privately owned castle is not open to the public, but the view from the bluff is sensational. Evenings are best here — as the sky darkens, yellow lamps reflect warm pastels and deep blues. Settle in and savor some of Collioure's Catalan cuisine, featuring fresh anchovies, seafood, and local wines. Paradise reclaimed. 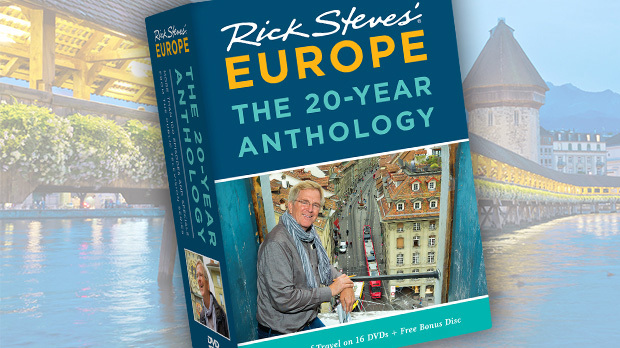 Steve Smith is the co-author of the Rick Steves France guidebook.